Welcome Back! Reunion Weekend 2013! Big loves. Big ideas. Big dreams. Big Maroon and White! Where it all happened; where it’s happening still. 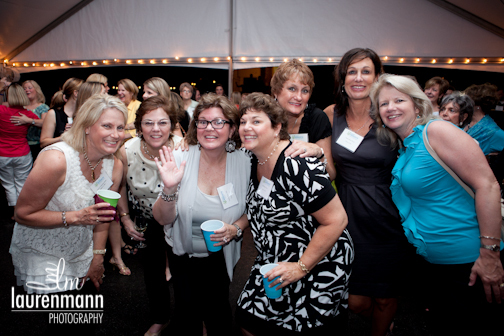 Mark your calendars for Alumnae Reunion Weekend 2013 at Meredith College! Listen up Angels, Meredith Reunion 2013 is just around the corner. May 17th through the 19th. It’s where everyone wants to be, whether your class (all 3’s and 8’s this year) is celebrating or not, all alumnae are welcome. Dance the night away on Friday the 17th with The Band of Oz at Massey House while you enjoy cocktails and visit with friends new and not so new! If you’re a diehard Meredith Angel, plan to stay in the dorms and revisit your college days with your class buds. Please be sure to join us for the Annual Meeting of the Meredith College Alumnae Association on Saturday the 18th at 10am in Jones Auditorium. During this meeting, we’ll present the annual Distinguished Alumna Award, Recent Gradate Award, Career Achievement Award and Alumna Philanthropy Award. Additionally, Dr. Jo Allen will provide a college update. There are great events scheduled on campus the whole weekend to keep you busy, engaged and most of all have fun with your classmates. To register for the on-campus events, please visit the online registration site by clicking here. For additional information on the weekend, please visit the Alumnae Reunion Weekend website by clicking here. Please register before April 15th in order to take advantage of the Early Registration fee of $40. Beginning on the 16th, the Regular Registration fee will be increased to$45. Race for the Cure 2013: Please join us!